Upair One Review | Best DJI Lookalike On The Market? I’m sure many of you are familiar with brands that try to copy the popular ones in their niche. This is not restricted only to drone market. No. This is a huge phenomenon that’s been a critical factor in a variety of markets worldwide. Most of these copycat brands offer cheap, unreliable products with their only goal being to copy the outer appearance of a popular brand in their niche. It’s simply how they do their business. 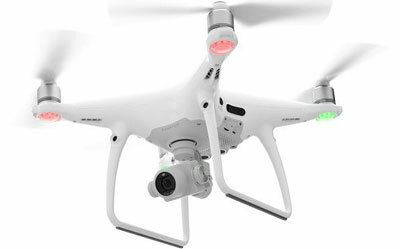 Now, even though Upair One looks incredibly like the ever so popular Phantom lineup of drones made by DJI, it would be insulting to call them copycats. As I have already mentioned above, copycats offer cheap and unreliable products which this drone is not! Want to know more about that? Well then make sure you read the full Upair One review in the next couple of paragraphs! It is an incredibly sleek looking phone that greatly resembles DJI’s masterpieces. Still, it is not trying to copy their finishing touches. On the contrary, the Upair One wears a clean white finish with no accents whatsoever. It makes up for a beautiful design that will definitely capture the eyes of many. As I have already mentioned, this drone cannot be considered a typical copycat since it is powerful and has great specifications to back that up. Let’s take a closer look at them, shall we?! 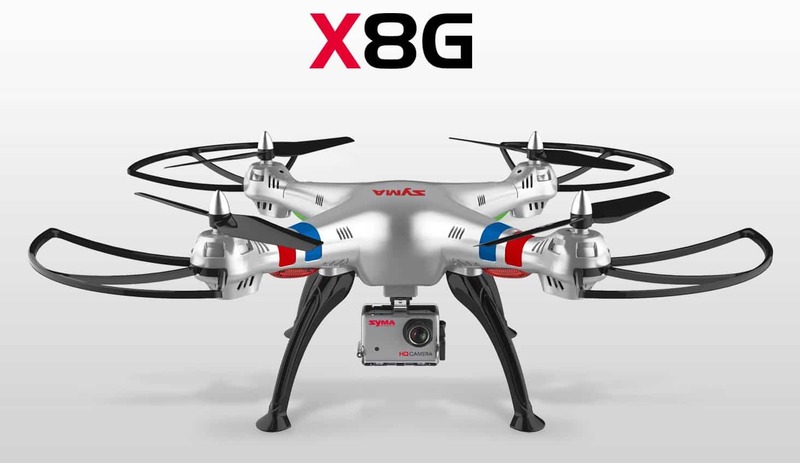 The interesting thing about this drone is the fact that it can be purchased with 2 different cameras. They are both very much alike but do have one key difference and that’s their respective resolution. 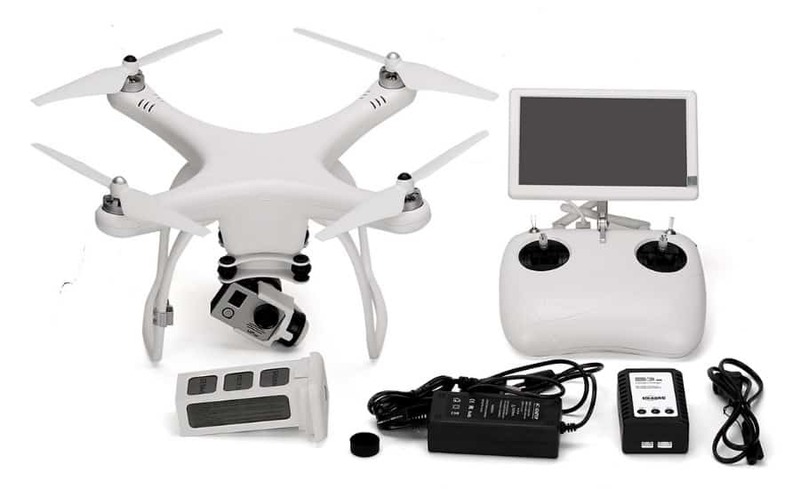 The cheaper option is a 2.7K camera which is still able to produce more than solid aerial shots and recordings. On the other hand, if you are willing to splash out roughly $50 more, you can get the 4K camera which will straight out amaze you with the sheer image and video quality it can produce. The gimbal also comes within the package and it will greatly help with stabilizing the footage, allowing you to capture breathtaking videos like a pro. One thing is for sure though, no matter which particular camera you opt for, the chances are high that you will be more than happy with the end results. Upair One‘s battery is pretty powerful. 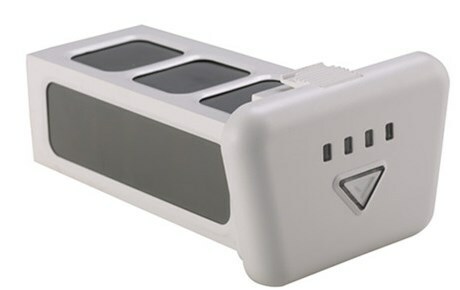 We are talking about a smart 540mAh LiPo battery that works wonderfully. More precisely, the online specifications claim that it can last up to 18 minutes on a full charge but truth be told, mine was 21 minutes in the air before the low battery feature was triggered. Now that I come to think of it, that is most likely due to the fact I did not have the camera mounted at that time. Flight range of this little fella is most certainly its biggest downside. I have to admit I was quite surprised when I checked the specifications online and saw that it can only go up to 300 meters. Well, truth be told, it did go just a bit further than the 300 meters mark, but it’s still such a pity… especially for such a beautiful drone with decent flight time and good FPV capability. And last but not least, we are going to take a closer look at the amazing controller that comes with Upair One. First of all, I would like to point out how stylish it looks. True, the drone is not the only resemblance to DJI. Controller kind of looks like DJI Phantom’s one as well, but in the best possible way. 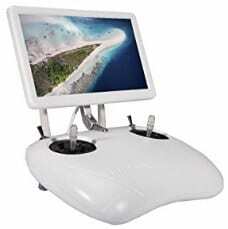 In addition to its sleek design and clean white finish, it is also important to add that you will get a huge 7-inch display for FPV purposes. The display quality is good and will definitely prove to be superior that the classical smartphone-powered FPV. All things considered, Upair did a great job not only with this drone but with its dedicated controller as well. Both work well together and provide with a seamless flying experience. It would be ungrateful to put this drone up against DJI Phantom 4 or Phantom 3 Professional. True, they have similar quality cameras and good responsive controllers, but the price gap is just too huge. That’s why I decided to put DJI Phantom 3 Standard as its main competitor due to their relatively similar specifications and prices. The only big advantage the DJI Phantom 3 has is its superior flight range. On the other hand, Upair One review (4K version) has a slightly better camera which makes this comparison a subjective preference of the buyer.